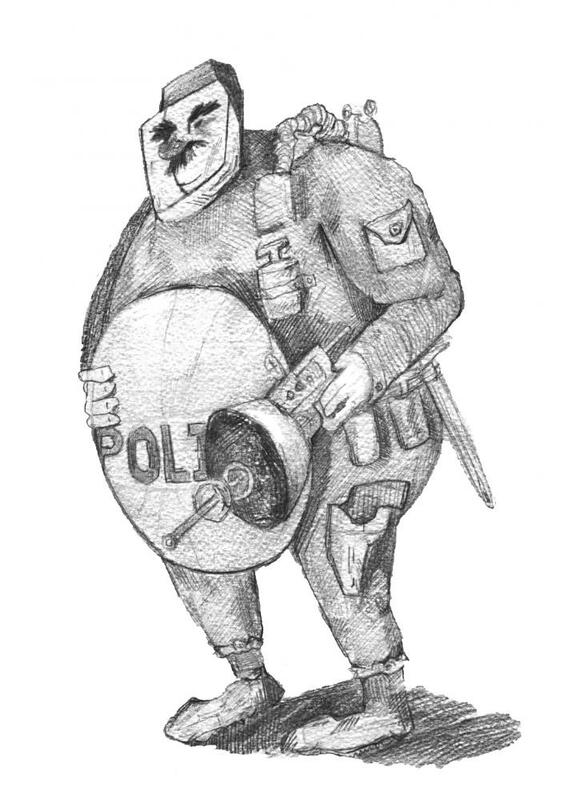 Riot control techniques have been around for about a thousand years to deal with uncontrollable civilian protests. Methods for controlling riots are diverse, their uses throughout history have spanned from World Wars to everyday protests, and are mainly divided into two groups: chemical and non-chemical tools. Chemical tools have several toxicological and sociological disadvantages, which is why many are no longer used in today's enforcement. Technology has brought about new approaches to riot control tools, combining both chemical and non-chemical irritants utilizing electronic-based devices. Also known as riot control agents (RCAs), chemical irritants are a notable method of bringing protests to a halt. Some RCAs include peripheral sensory irritants such as 'pepper spray' and 'tear gas,' pigments or fluorescent paints, obnoxious odors and non-irritant smokes. They have been created as site-specific tools, causing physiological responses such as tearing, sneezing, coughing, bodily burning sensations, blistering and nausea. World War I debuted the first use of poison gas at the Second Battle of Ypres in April 1915. There, Germans utilized a chlorine-based poison causing a yellow-green cloud to severely affect the victim's respiratory tract. Although this first instance raised controversy, Germany continued their gas warfare development. It also escalated the use of chemical irritants throughout the War, including the use of chlorine-based gas and new approaches using phosgene and mustard gas. Although phosgene caused less coughing, it was more potent than chlorine. Mustard gas, or Yperite, is an odorless chemical that causes internal and external blistering. Ever-evolving technology is now allowing what was once a science fictional idea to become reality. According to David Griffith from 'Police, The Law Enforcement Magazine,' technology such as heat rays, sonic lasers and crowd control TASERs are in the near future. The Magnetic Acoustic Device (MAD), a planar speaker system, has the ability to disperse a normal speaking voice for more than a mile. Historically, TASERs have been used to temporarily control individual people or ease a violent arrest. TASER Shockwave, however, can fire up to 18 TASER cartridge at once. This form of TASER has not been used in a riot yet. Raytheon, a technological and innovative leader specializing in defense, civil and cybersecurity, is creating a system that emits low frequency sound waves able to affect the respiratory tract and hinder breathing. Each of these tools may be used as crowd control techniques in the future. Technology continues to change the way we live, and will continue to change the way that protests and riots are handled by law enforcement. There is no surefire way to predict what may come in the future, but we can be certain that the changing technology will play a large role.